Auckland Law School professor Julia Tolmie’s well-cited research demonstrates a particular focus on the impact of the law on women’s lives. Professor Julia Tolmie currently teaches Criminal Law, Criminal Law and Policy and Women and the Law at The University of Auckland. Prior to her appointment at the University of Auckland in 1999 she lectured in the Faculty of Law at the University of Sydney for ten years. Professor Tolmie researches in criminal law, family law and feminist legal jurisprudence. A theme throughout her research has been how the law understands, constructs and responds to vulnerability and precarity - particularly in the lives of women. She served as chair of the New Zealand Family Violence Death Review Committee from December 2011-2016, deputy chair in 2017, and as a member of the New Zealand Government’s Expert Advisory Group on Family Violence in 2013. She was the academic member of the District Court Judges Education Committee in 2015-2017 and was also a member of the Institute of Judicial Studies Curriculum Working Group on Family Violence during that time. She was the inaugural Shirley Greenberg International Visiting Scholar at The University of Ottawa in 2016 and a distinguished visiting scholar with the Gender and Family Violence Research Program at the University of Monash in 2018. She served on the expert panel for several references of the New Zealand Law Commission in 2015 and has provided peer review on multiple reports for government and non-government organisations on matters relating to criminal law and family violence over the years. She was the editor of the Law School’s alumni magazine – Eden Crescent – from 2003 to 2014 and has served on the editorial board of the Sydney Law Review and Current Issues in Criminal Justice in the past. 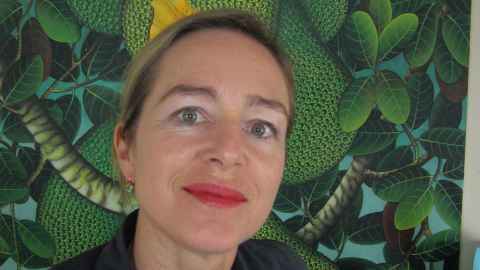 Professor Julia Tolmie also has an interest in the fine arts and a practice as a painter and sculptor. Although she is New Zealand born of English/Scottish heritage, her extended family closely links her to the beautiful island of Samoa.